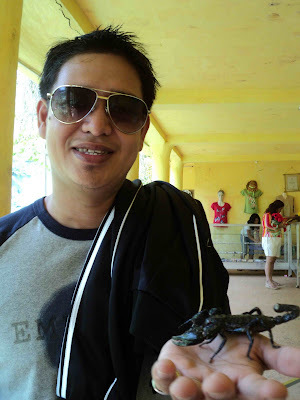 Palawan Butterfly Garden, Puerto Princesa City | To Be, To Be. Tutubi. 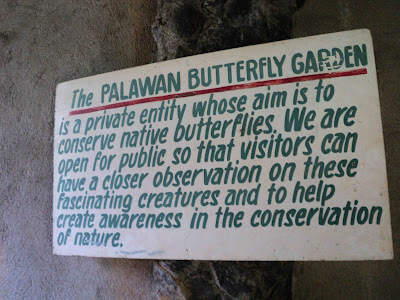 This was the Palawan Butterfly Garden, which was the first stop on our City Tour itinerary. It was just a few minutes on tricycle from our pension inn. Entrance fee was P25 each even though we did not present any identification card. 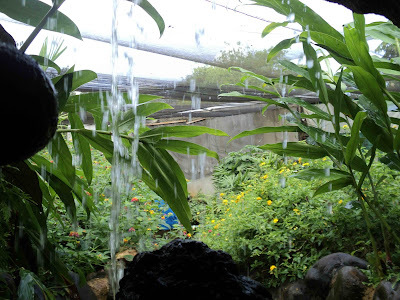 This private endeavor of owners of the butterfly garden is inspiring. I live in the city and I have never seen a butterfly near my residence and I have been living there for more than 10 years! 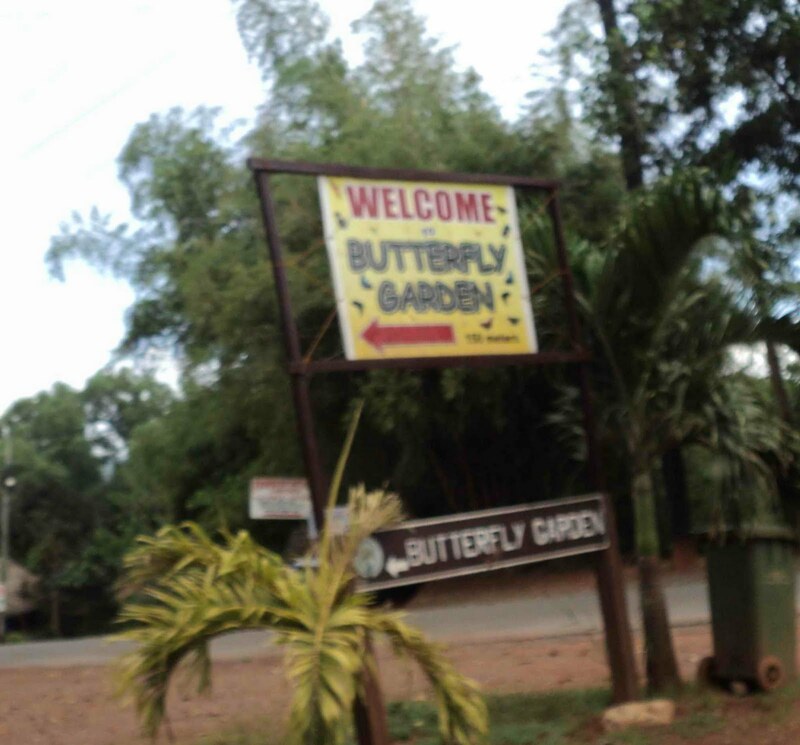 However, there were only a few butterflies in this garden! If I counted correctly, there was less than 20 during our visit and there was also construction going on near the exit. I guess all those poundings must have scared them away! But since I am a person who loves gardening, I was able to enjoy myself. I keep imagining that this was my garden, in my own backyard. This picture below was taken under a small make shift water falls. 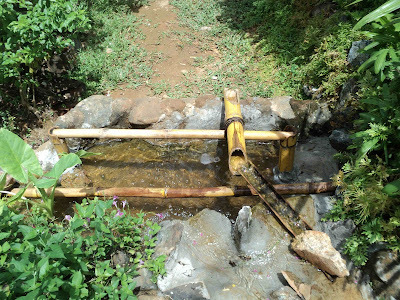 These bamboo poles are cute and add a nice touch to the place. 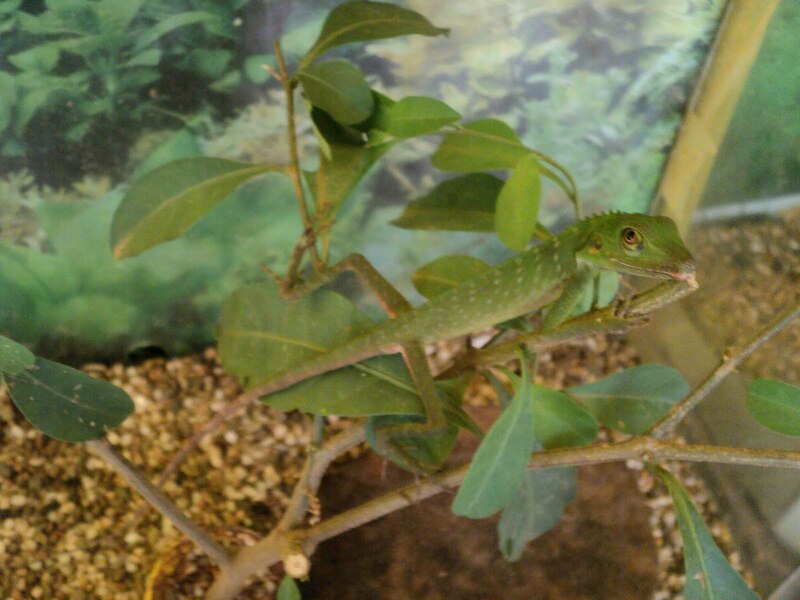 Other than butterflies, there were also several glass cages in the shaded portion of the garden. 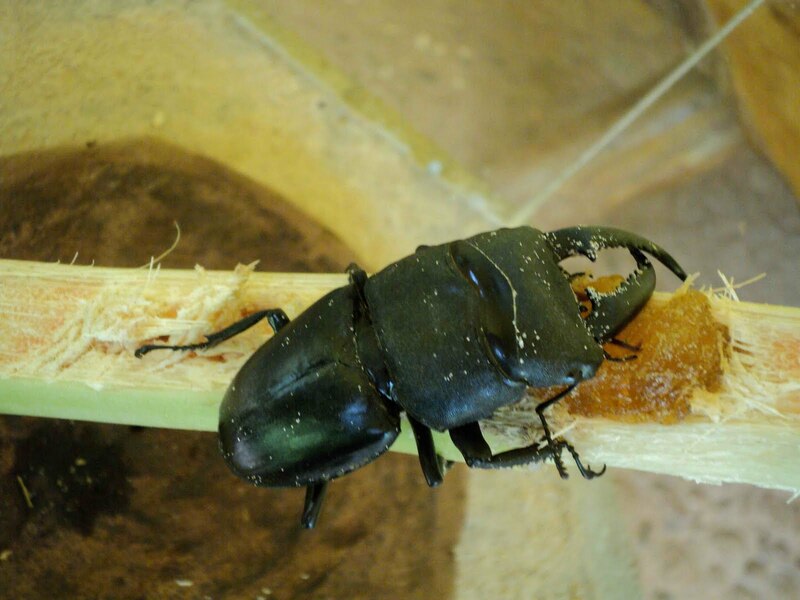 Below is the stag beetle that is said to be very aggressive and his cage has a DO NOT TOUCH sign. 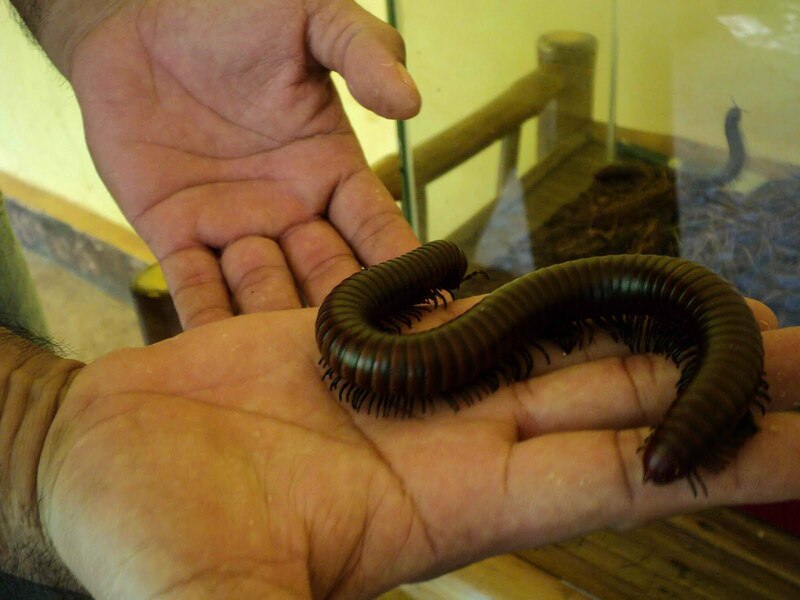 Not that I would touch him! Another insect that can be found in the butterfly garden is this centipede that the owner asked us to hold. Ewwwww! My husband gamely held the scorpions but I wasn't able to get a nice photo because I know he wont stay that way for long! 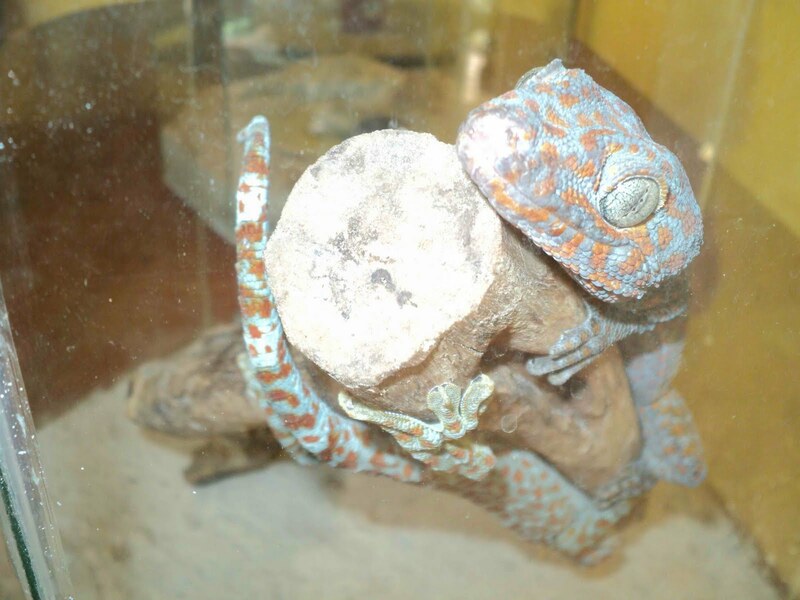 This gecko looks cute but I wouldn't touch him either. There were also stick insects, mantis and another centipede. But the truth is, the butterfly garden at Singson's Baluarte in Ilocos Sur has way more butterflies and plants than in this one. 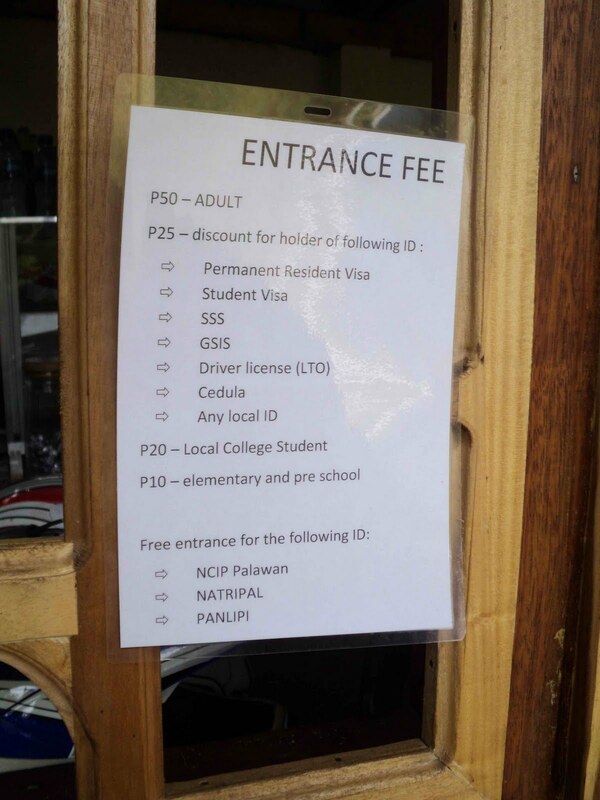 But at only P25, it was not a waste of time. 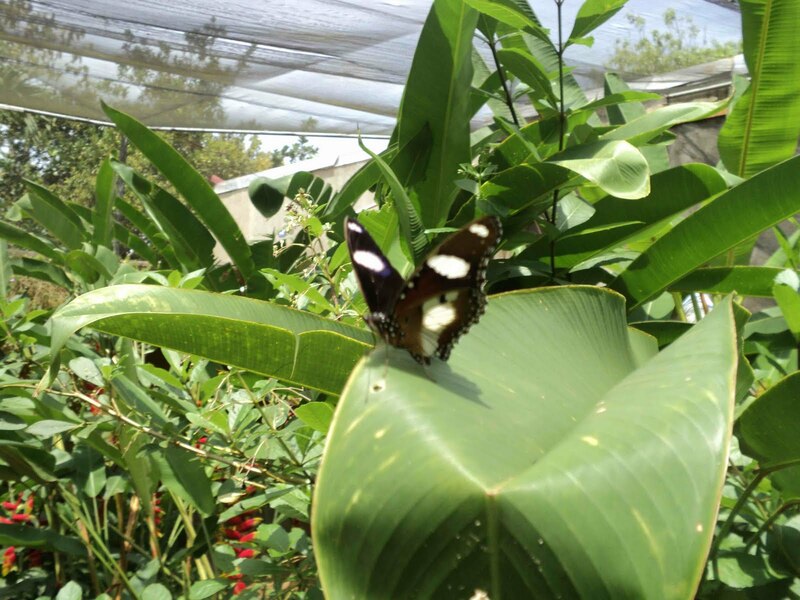 Just think that you are helping in the conservation of butterflies. 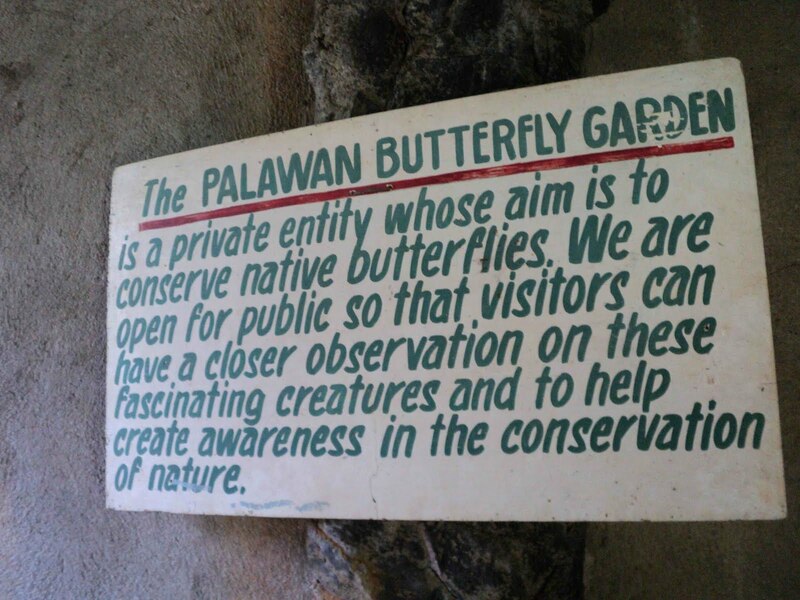 Besides, if they say that you must visit it in Palawan, then why not spare the ten minutes in your itinerary to see the butterflies?